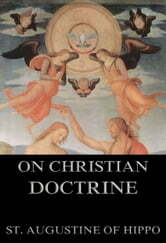 The four books of St. Augustin On Christian Doctrine (De Doctrina Christiana, iv libri) are a compend of exegetical theology to guide the reader in the understanding and interpretation of the Sacred Scriptures, according to the analogy of faith. The first three books were written ad 397; the fourth was added 426. It is the first and best patristic work on biblical Hermeneutics, and continued for a thousand years, together with the Prefaces of Jerome, to be the chief exegetical guide. Although it is superseded as a scientific work by modern Hermeneutics and Critical Introductions to the Old and New Testaments, it is not surpassed for originality, depth and spiritual insight.